For the Holidays, discover Prada Parfums' masculine quintessential fragrance. 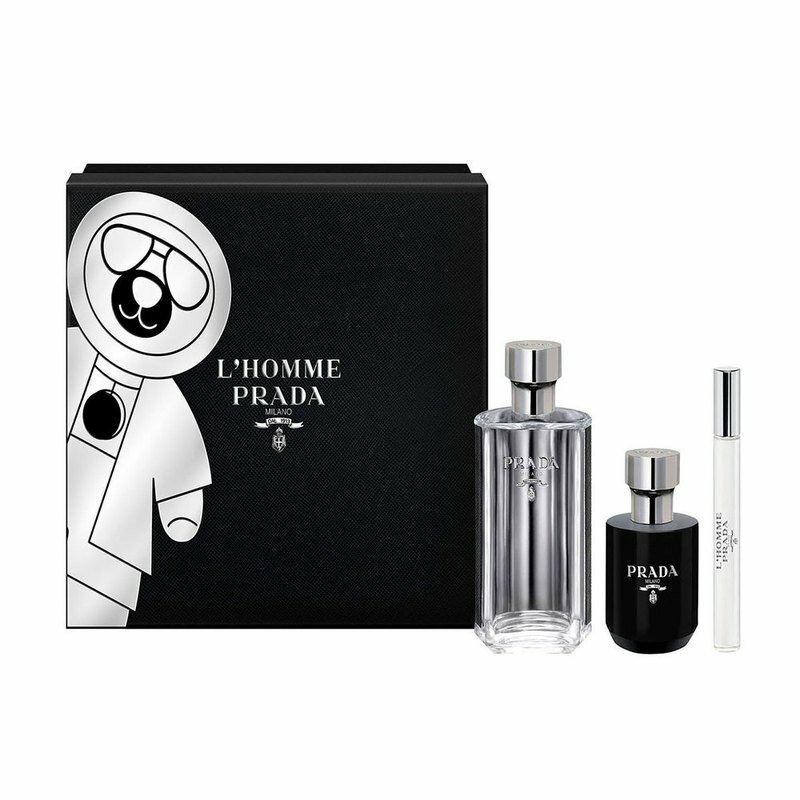 L'Homme Prada is a fragrance of pairs, of doubles, of juxtapositions and layers. It is a mix that is both airy and highly sensual. This elegant black limited-edition set is adorned with an iconic bear print, inspired by Prada accessories.